Rover 3500 SD1 Race Car built from a bare shell using original TWR running gear including suspension uprights, hubs, wheels, engine, and rear axle. 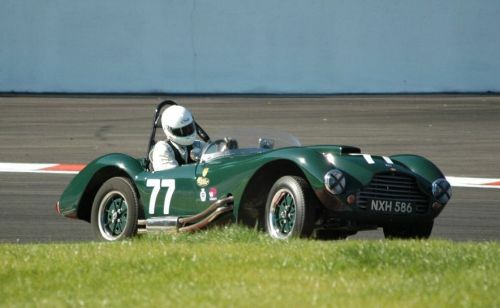 The body of this car was stripped to bare metal and built up with new roll cage, seam welded body to the same spec as the original TWR race cars. Finished in the TWR 1984 spec and painted in the British Leyland Fleet Colours of Blue and Green that adorned chassis 010 that no longer exists, this car has all newly rebuild Getrag 5 speed gearbox, rebuilt TWR differential, freshly rebuilt TWR single plenum engine using John Eales supplied components. Complete and ready to race with new 2017 FIA HTP papers, and MRL certified /sealed 3.5L engine, and basic spares package. This car has completed a rollout test only and has all new safety equipment. 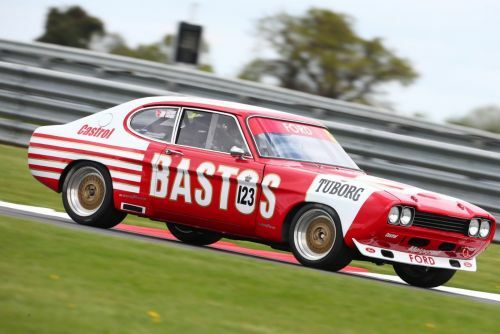 Ideal for racing in Motor Racing Legends Historic Touring Cars, Peter Auto HTC, the car is eligible for the best Historic Touring Car Racing.